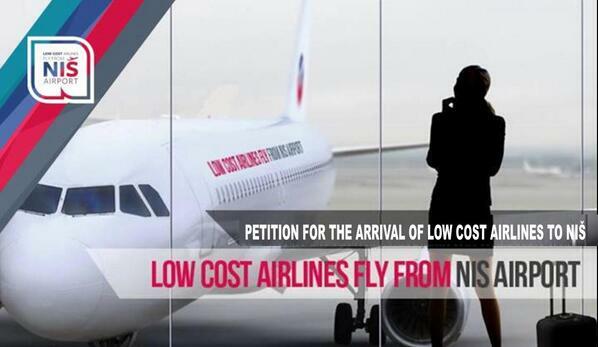 Sign the petition for the arrival of low-cost (low cost) airlines in Nis. With the arrival of such airlines at Nis airport, the airport would finally come to life, and allow direct connection to Europe. Arrival any airline and the establishment of direct flights from Nis, will mean a lot for this region of southeast Serbia and I Constantine the Great Airport. By signing are stopping the closure of the airport Nis! So be you and one of the signers! Signatures our petition for direct flights from Nis!